In 2009, Airbnb was a struggling startup with almost zero growth and a team desperately trying to figure out the secret to success. A revolutionary idea for a renting service not working out as they anticipated had the developers rummaging through code in a desperate search for a solution. But the answer arrived unexpectedly from a very different place. After looking at their search results for New York apartments, they noticed a pattern: All of the listed homes had ugly pictures. Hosts used their phones to snap away or just didn’t know how to take a compelling photo. So, not too hard to imagine, customers didn’t want to book something either they couldn’t see or something unappealing they could. With an impetuous tossing of caution to the wind, they hastily decided to rent photography equipment, fly to New York, and meet with the owners to upgrade their photos. And, it worked. Airbnb’s revenue doubled in a week. Today Airbnb not only provides its hosts with a list of recommendations for great photos, such as the perfect setting and preferred resolution, but also offers paid photoshoot services in some cities. Indeed, the impressive visuals of quiet city apartments or tree-houses in the mountains are shaping a traveler’s experience before the booking is made. The time the Airbnb team wasted trying to code their way out of a failure could have been spent on a more important effort – seeing customers as sentient humans and finding ways to address their complicated needs. 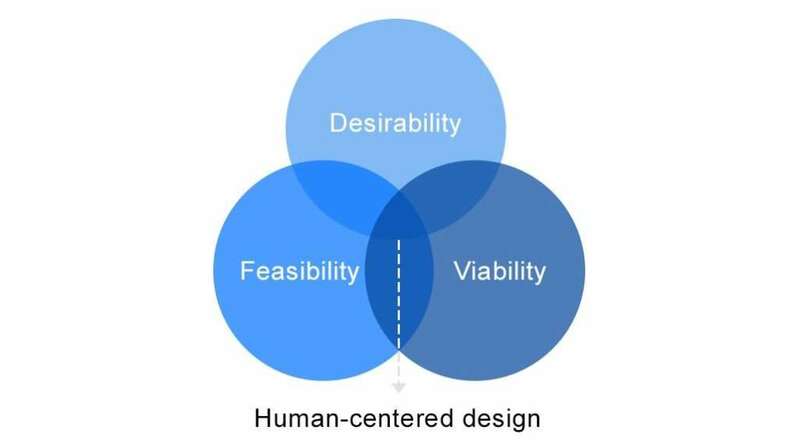 Considering human needs and desires in designing is known as human-centered design. Both B2C and B2B brands can successfully apply its principles to better understand their target audiences and avoid critical mistakes. Let’s dive into the topic and discuss how this is done. Before moving to recommendations, we need to distinguish two trendy and often confused topics in the field: user-centered design and human-centered design. While in many cases the words human and user can be applied interchangeably, the term user implies some form of an active collaboration with the designed product, be it a comfy chair or an app. Humans, however, aren’t always active participants and won’t be satisfied by simply outstanding performance or perfect usability. User-centered design (UCD) is a methodology based on understanding a user’s interests and applying usability principles. You’ll enjoy our piece on usability testing techniques where we discussed this topic in detail. Being a subdivision of human-centered design, user-centered design considers people’s motives through the lens of their interactions with a product. According to ISO standards, human-centered design (HCD) is a practice intended to be used for enhancing “human-system interactions.” Human-centered designers should recognize the difference between people’s and users’ needs and behaviors, applying specific toolsets and principles to build better interactions between people and technology. Desirability (What do people desire?) – you start with asking basic questions about human needs to discover what they find most desirable. Feasibility (What is technically feasible?) – after uncovering a helpful solution, you need to understand whether its implementation is feasible. Viability (What can be financially viable?) – to better serve the needs of your community, you should make sure the solution will be sustainable. The answer to the first question – what do people desire? 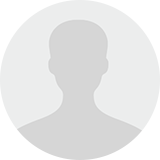 – can be found when conducting research and getting to know your future audience better. In human-centered design, it means getting very personal. Regardless of the amount of data you’ve managed to gather online, there will always be blank spaces that can only be filled in with the help of private conversation and direct interaction. Here are the main HCD techniques that are used at the observation stage. Conducting interviews. Interviews not only allow you to get the information from the people you’re designing for directly but also will give insight into their surroundings, topics they’re most passionate about, and their behavior patterns. Moreover, in human-centered design, questions about a person’s life are not just allowed, they’re encouraged. Take note of their experiences with the problem you’re exploring, but start with general topics and go deeper to let the person open up naturally to you. Notice which words they choose when explaining the desired solutions as these may be the future names for your functional tabs, call-to-action buttons, and questions in an FAQ section. Immersive observation. Immersion is another technique that aids in understanding the struggles of the community firsthand. Observe people from afar as they use their smartphones in a bank, at a doctor’s office, when shopping. Notice what frustrates them when they interact with interfaces, and how they tend to solve problems. Record everything you see and hear. Ask them the reasons behind their decisions, shadow them, and try to empathize. As an approach, emphatic design suggests such a deep level of observation that allows an observer to notice the desires an observant doesn’t even know he or she has. With the help of psychologists and video recording equipment, it’s possible to capture and analyze the data, which leads to useful, thought-provoking findings about human behavior. Outlining personas. Personas are virtual characters encompassing features and preferences your audience presumably has. This fictional person should have realistic (and research-backed) demographic information, a list of goals and motivations, and any personal information you find valuable. We’ve previously covered the principles of creating a buyer persona, so follow the link for more tips. Creating interaction stories. Scenarios and consumer journey maps, whether real or fictional, can also be used in research. Both techniques are based on analyzing stories of a person interacting with a product and identifying whether he or she succeeded at solving a problem. They also help uncover how closely the real person followed the predefined path and their emotional experience at each stage of the journey. At the ideation stage, you and your user experience team, gathering all the research you’ve done and starting to make sense of all the data, come up with the opportunities for design. This is where you make sure that your idea is attractive, practical, and within a reasonable budget. Brainstorm, spark discussions, and notice patterns in the ideas team members generate collectively. This is when their diverse opinions matter the most not only for designers but for humans as well. Use storyboarding or tools like Business Model Canvas to create rough outlines of your concepts. This cooperative tool allows you to invite your audience into a co-creation process and make adjustments. Prototypes exist to be shared across the members of team, stakeholders, thw whole organization, and of course – your audience. 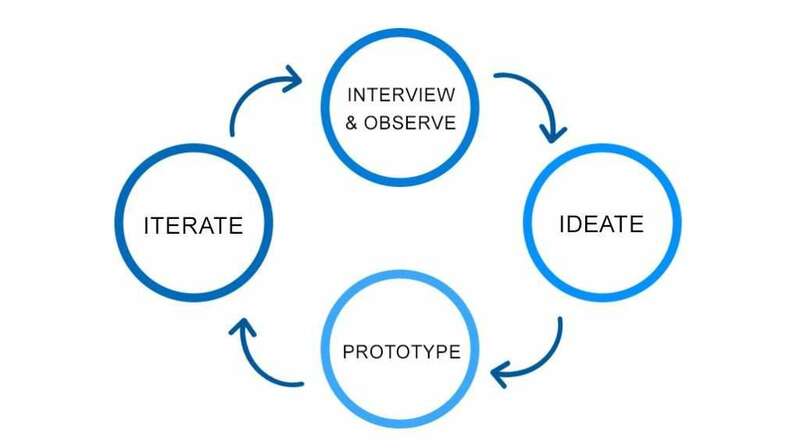 In human-centered design, the prototyping stage is experimental. This is when the ideas formed after observation finally get tested, adjusted, rejected by virtue of negative user feedback, and replaced by better solutions. After a series of unsuccessful prototypes and quick iterations, you’ll have a much better idea of what kind of product addresses the issue best, how to deal with problems within a product, and – most importantly – how real humans react to it and how intuitive they find it to use in the early stages. Create plain prototypes only with the most essential features that deliver the core product value. This is the time when you need to get immediate feedback, learn from mistakes, and actively discuss opportunities for improvements. Share your prototype with people. Capture their honest and direct response, encourage them to freely share what they like and dislike, and note how they start interacting with the prototype, what draws their attention. Give them a couple of minutes to express their opinion before diving deeper with questions. Change your strategy if you start getting exclusively positive reactions – adopt an open attitude or initiate an informal conversation outside of the conference room. Considering the fundamental ideas behind human-centered design and a required toolset, here’s the list of principles every human-centered designer should follow. Incorporating various research and testing methods. To understand the core needs and desires of the group of people you’re targeting, you should see them as real, three-dimensional humans instead of just numbers on the screen. When the creators of the Febreze air fresheners noticed that their product’s initial success didn’t last, they visited pet owners (their target audience) and discovered that the cans of product stayed unfinished under the sink. Apparently, customers were so used to the animal smell in their homes, they forgot to use the product altogether. Actively observing and putting yourself into a user’s shoes. Immerse yourself into the life and work of the people you’re designing for. When you’re familiar with the context of their daily life, the way they make decisions, or their spending habits, your more detailed, layered view that will help you succeed at your designing challenge. Creating visually appealing products. Products should not only be easy and comfortable to use, they should also appeal to the aesthetic receptiveness of your audience. Mountains of research has shown that a beautiful website does a much better job at pulling the audience in than an unattractive one, even if it’s superior from the usability standpoint. Working in diverse teams. One of the biggest differences between user- and human-centered design is that the latter allows designers to apply their own behavioral habits and perception of the environment. In HCD, it isn’t only allowed, it’s even encouraged to incorporate your own opinions. The more diverse the teams are, the bigger the audience that will enjoy the final product. Involving consumers in design. At every stage of the design process, collaborate with the end users whose problems you are trying to solve. Conduct interviews for research, use card sorting or other evaluation methods to identify blank areas in your prototype. Engaging people to design alongside you in a co-creation process will allow you to learn early about possible problems, avoid risks, and decrease time for the research process. Embracing simplicity and intuitiveness. A study by Google found that users prefer visually simple websites with high prototypicality, meaning the design shouldn’t contradict a user’s expectations. There’s nothing wrong with having an extensive help section. But if your product requires a written “how-to” manual or glossary for the simplest features, it’s time to re-evaluate it. Adopting a holistic approach for integrated services. Notice how in Apple’s ecosystem products seem collaborate in unison since they were originally meant to be used together. This omnichannel experience provides a consistent workflow and increases a product’s stickiness. The unexpected popularity of Starbucks’ loyalty app has proven the value of convenience of having instantly updated information about reward points on the phone, in-store, or via a website. Despite the fact that concepts of human-centered design are taking over the world, its ideas can be altered or applied incorrectly, resulting in bad and even harmful design. Moreover, design is just one of the components of a product, and you can’t solely rely on an opinion of one group of people. People are the most unpredictable elements of the designing process, so even the smallest misinterpretation of research or testing results can threaten the success of a whole project. It goes without saying that by trusting your customers with ideation, you risk to missing an opportunity to create something innovative: Sometimes people don’t know what they lack because the solution doesn’t exist yet. So, remember that the human-centered approach exists to give you the deepest insight into the minds and lives of your customers and allows you to see how people will actually interact with the system, not how you think they will. Allow designers to do their job but empower them with answers to the questions they can’t answer themselves – that’s how you establish a fruitful collaboration between your audience and your team. Human-centered design requires thorough research and close collaboration with the community you’re trying to aid. However, the results are nothing but rewarding. The products created with deep understanding and concern will attract a bigger, more loyal audience while staying relevant and useful. If you want to create a product that will be a successful partnership of your capabilities and customer requirements, remember to first ask yourself three questions: Do people want and need my product? Is it technically possible to develop it? Can we and our clients afford it? If the answer to all three is yes, start incorporating diverse perspectives, diverse evaluation techniques, prepare to prototype quickly and make changes immediately.